At Elite RV Satellite, we are here to deliver all the solutions for your satellite needs. If you are in need of satellite for your home, RV, park model or business we can help you. Elite offers Winegard products for the RV’ers, (American or Canadian) DIRECTV, DISH NETWORK and SHAW DIRECT. 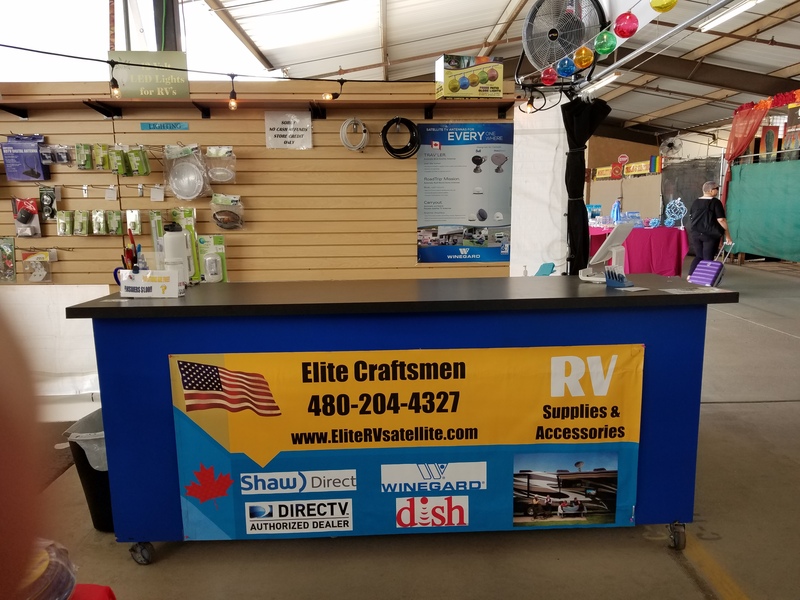 We also carry a large variety of items for your RV at The Mesa Market Place. Come on out and see what we have. Mike Bulinski (Owner) has always prided himself on helping the customer. Whether it is setting a satellite dish, programming a remote, or providing new or upgraded services for DIRECTV, DISH NETWORK or CANADIAN SHAW DIRECT. He has been helping people in Arizona for over 16 years, and has built his business on a great reputation with repeat customers and referrals. Many of the winter visitors in the East Valley RV and mobile home parks know “Mike” by name. Sometimes you just need to talk to a person to find out what you need. Look at some of the products we offer online, and if you have any questions, please call us; we can help you get the right equipment for your situation. That is why we are here! If you do not see what you need, by all means, please call us, more than likely we can get it or point you in the right direction. We are always updating and adding new items to our site; please check back often. Let us provide you with the answers you need.